Bagcilar is at the end of Istanbul’s T1 tramline, 20 stops from our hotel in Sultanahmet, Istanbul’s tourist center. Wikipedia describes it as a working class suburb, known for its poor infrastructure, as well as a recent discovery that many families in the neighborhood fail to send their girls to school. With the Grand Bazaar and an endless number of mosques and side streets to explore, Bagcilar is on nobody’s list of top Istanbul destinations. I coaxed four other Glo-trippers to accompany me to Bagcilar one afternoon, however, because I was told it was one of Istanbul’s predominantly Kurdish neighborhoods. I am researching Kurdish issues, and by going to Bagcilar, I hoped to get a feel for what a predominantly Kurdish area is like. I had no idea what to expect. I didn’t know whether it would look or feel different from the rest of Istanbul, whether I would be able to speak with anybody, or even whether the neighborhood was actually as Kurdish as people claimed it was. In the back of my mind, though, I did have an idea of what would make the trip to Bagcilar a true success: finding a BDP office. 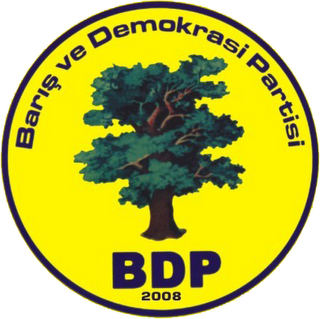 The BDP (Peace and Democracy Party) is the latest of Turkey’s pro-Kurdish political parties. Over the years, all of its predecessors have been banned by the government, and the party is considered by many to be the political wing of the PKK (Kurdish Workers’ Party), which the EU, US, and Turkey have designated as a terrorist organization. At the very least, experts and Turkey-watchers claim a close, if informal, connection between the PKK and BDP. 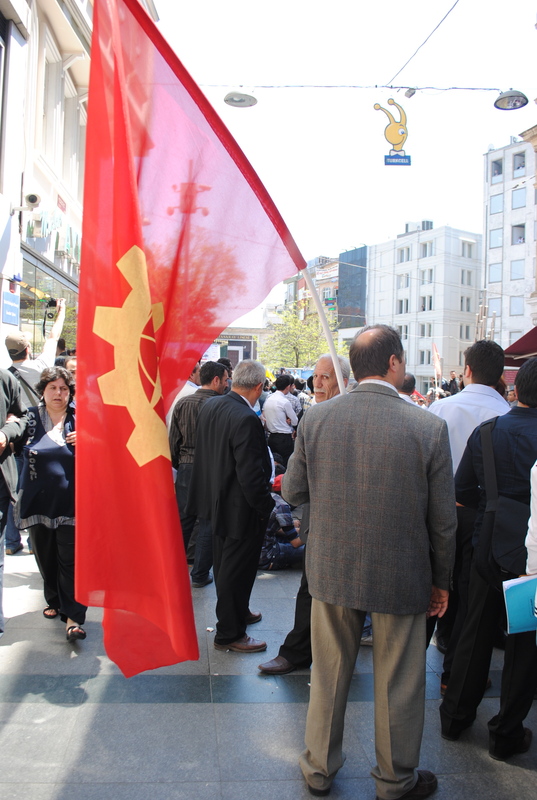 With general elections approaching on June 12, the BDP and PKK have assumed greater roles on the political stage. Turkey has banned 12 BDP candidates from running in the election, sparking mass riots, violence, and the threat of an all-out war by the PKK if the situation does not improve by June 15. In places like Diyarbakir, the southeastern city considered the capital of Turkish Kurdistan, the situation has become quite literally explosive. So imagine my surprise and excitement when the five of us rounded a corner and spotted a yellow BDP sign on the side of a building. 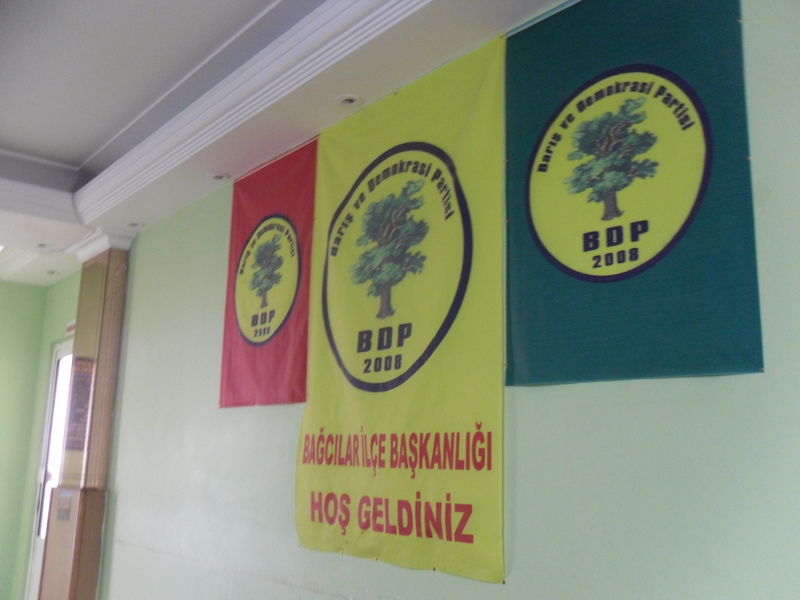 I had exchanged several emails with a BDP representative while in the US, but had never found the address or contact information for the party’s main Istanbul branch. Yet with a stroke of dumb luck, we found ourselves outside of an office. We exchanged excited glances and decided to check it out. We climbed up the six flights of stairs of the office, marked BDP posters plastered to the walls. We knocked. And waited. And waited some more. Finally, as we were about to leave, a man opened the metal door and peered out at us, clearly surprised to find five foreigners staring back at him. “BDP?” I asked, pointing at him. “English?” I asked, crossing my fingers for a nod. He shook his head. I cringed. We, however, were not about to give up. I pointed inside, and he gave a slight nod. We were in. He offered us cay (tea), and we smiled eagerly. As soon as he left, we began frantically paging through the short glossaries in our Lonely Planet guidebooks for help. The man returned, armed with six cups of tea and two more men, and the “interview” began. I turned on my tape recorder, pointed at the BDP poster behind us, and gestured as though I were speaking. Can you talk about the BDP? The man beside me smiled. I settled back into my chair satisfied, assuming he had understood my charade. I waited for him to start speaking. I repeated my gesture. He repeated his answer. I changed my gesture. He repeated his answer. My companions and I exchanged hopeless glances and grabbed for the Lonely Planets. I motioned to the TV screen in the corner, which was showing photos of militants set to triumphant music. “Who?” “Guerrilla,” came the reply. “Turks,” he said, making a gun out of his thumb and index finger, shooting at himself then pretending to be dead. The people on the screen were martyrs, I realized; the Turkish military had killed them. Armed with a small crack in the language barrier and a new set of tactics – writing down questions and handing over a pen for a written reply – we gained confidence. The “interview” was stilted, filled with awkward silences, frantic flipping through our language guide, and frustrated muttering under our breath, but we stayed for nearly an hour, drinking tea and attempting communication. By the time we left, we had forty-five minutes recorded on tape, handfuls of paper with written questions and answers, and a stack of BDP posters. I have yet to translate the recording and writing, but the five of us immediately deemed the chance meeting a complete success. A visit to an unknown neighborhood on the outskirts of Istanbul became an afternoon tea with politicians who may or may not have ties to a militant separatist group. It was lucky, impromptu, and once-in-a-lifetime – everything the Globalist trip is about. Encounters like that are daily reminders of why the Globalist trip is such an invaluable experience. To send emails, speak over Skype, and conduct background research online are one type of reporting, but to stumble into a meeting, communicate without a common language, and come out feeling as though you better understand another group’s mindset is quite another. 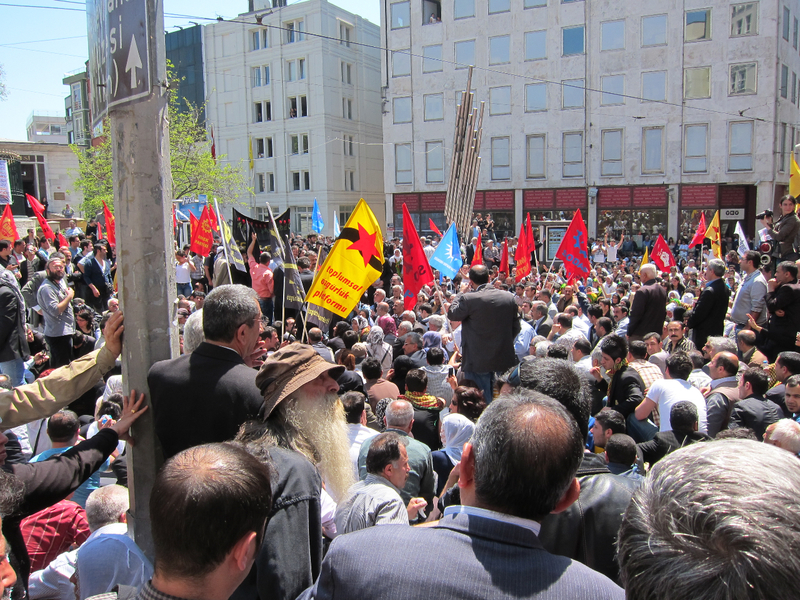 This afternoon, a few of us found ourselves in the middle of a Kurdish minority group’s political protest near Taksim Square, a central area in Istanbul. This is not a strange occurrence in Turkey, from what we’re told – protests are a regular facet of life here (just yesterday, crowds filled Taksim Square, protesting new Internet censorship laws). Many people have told me about this constancy of protests, often adding, with a twinkling eye that betrays a joke, “Well, because we are a democracy, right?” That’s what we heard from our new Kurdish poet friend who a few of us spent the morning chatting with in a Kurdish café near Taksim. He mentioned the protest to us offhand, mentioning that he didn’t think we should go. But we wanted to check it out, so we decided to venture nearby, keeping a safe distance just in case. 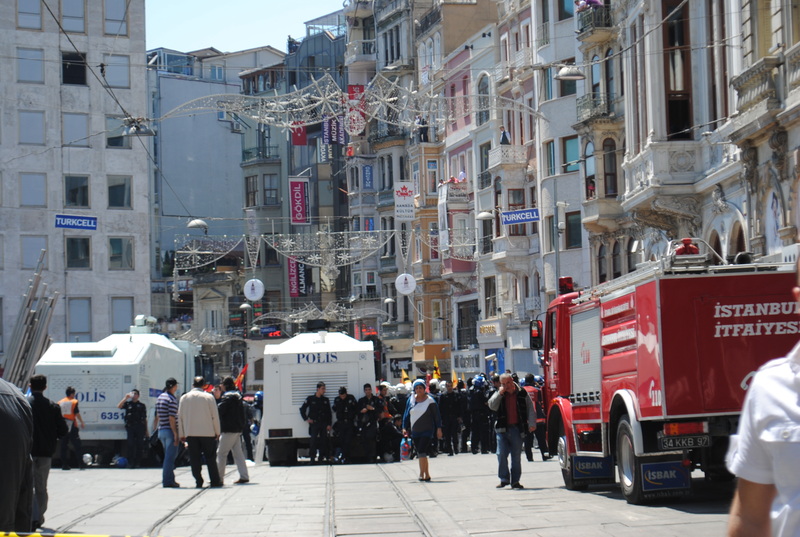 Crowds had gathered in one of the larger streets branching off of Taksim Square – one we’ve already walked down many times in our few days here – and they were surrounded by the most policemen I’ve ever seen in one area. About sixty or seventy policemen hung around the perimeter, completely decked out in full riot gear… and it was definitely a larger crowd of policemen than are necessary to keep the peace. A line of plainclothes police stood in the middle of the street, blocking people from entering the area with the protesters. Playing the innocent tourist, a few of us went up to them to ask what was going on. “Minority protest,” they told us. It went on like this for some time: we pressed, they didn’t answer. It wasn’t as though they were evading the questions – it just seemed abundantly clear that these were regular facts of their lives. As we peered into the crowds to get better looks at the scene and pestered the unresponsive policemen, a few of them even peeled off from the pack and wandered into nearby kebab stores to buy a coke and a snack. Their bored demeanor seemed a strange, flat contrast to the steady pounding of political chants and the occasional high-pitched screetch of what can only be described as pure anger coming from the protesters. From what we knew, these protesters weren’t just there to complain about the government as per usual. What we witnessed was a memorial service to twelve of the Kurdish minority party’s fighters who had just been shot and killed in the mountainous area of what Kurds call Kurdistan and Turks call southeastern Turkey. (the party is called the PKK and is officially outlawed in the Turkish parliament). Protesters symoblically held a black flag with twelve red roses printed on it, but that flag stood out as the only clear tribute to the fighters themselves. 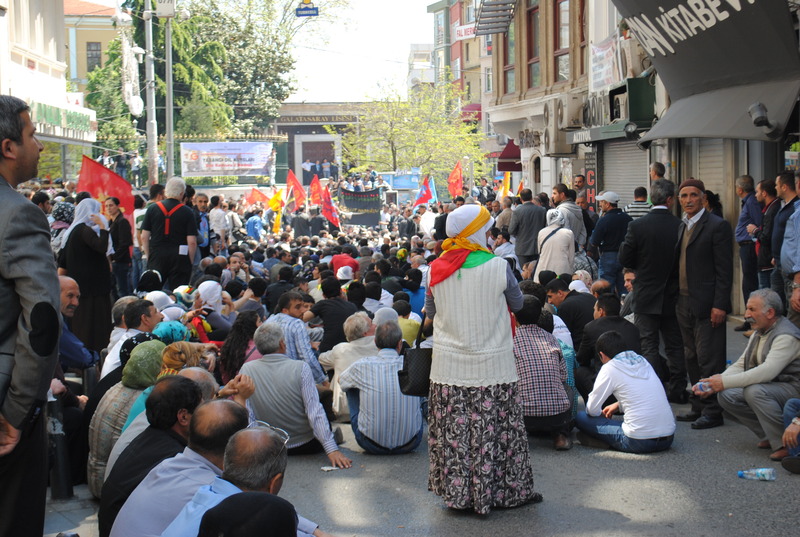 It was overwhelmed by red and yellow PKK and BDP flags and hordes of members of the Kurdish minority who had gathered not only to remember their lost ones but also to continue to demand, as they do “all the days,” a political voice. The tone throughout the street seemed precarious as we watched the protest unfold. We neared the area, only to be told by a journalist vehemently to clear away because it could get violent. Everything remained calm as we watched, but we found out later that after we left, the police did in fact use tear gas on protesters. We’re still learning about the ins and outs of Turkish politics and the way minorities voice their opinions, but today was a confirmation that we’re not in Kansas anymore. The way this public sphere operates is wildly different from our own, and being in the minority here means something very weighty. We approached today’s interview with a high-end fashion designer this afternoon from two different places, mentally and…as we came to realize afterward, morally. Catherine had heard that this particular designer was a high-powered woman with some interesting views on feminism. It turns out the designer does not classify herself as feminist because she thinks women are superior to men, which she aims to communicate through collections inspired by powerful women in history (we’re talking female Popes and Greek scholars). Catherine was most concerned during the interview about whether to ask her opinion on the ban on headscarves in public institutions, with which the ruling AKP Party has encouraged leniency since September 2010. Ultimately, our group decided against asking outright after the designer dismissed the influence of conservative Islam (and our “typical American questions” about it) as an influence on fashion and her designs. The designer has been honored many times as one of Turkey’s top women entrepreneurs, and she gives free leadership training to young students. Catherine thought the designer was doing women in Turkey well. It was only afterward, during a delicious dinner of kofta and aryan, that we were reminded how a group of people can experience the same event and emerge with extremely different impressions. It all has to do with the framework through which you are evaluating something. Ali and Uzra had arrived at the studio after meeting with the Editor-in-Chief of Forbes Turkey, the sole female editor of all business magazines in the country. After five years, Forbes is the number one business magazine in Turkey and doubles its competitors’ output in production. The editor also is part of an organization that works toward getting more women on executive boards in Turkey, where they currently only occupy 9% of positions. 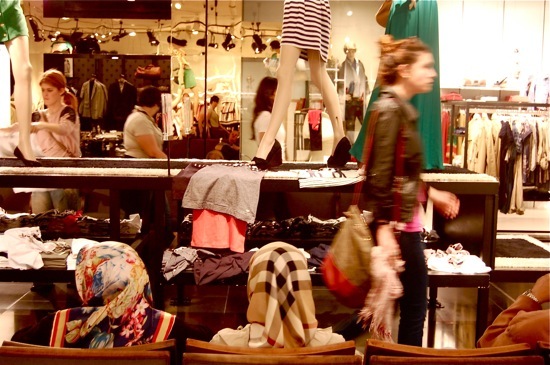 From Ali and Uzra’s perspective, the third-floor, locked showroom in Istanbul’s wealthiest neighborhood did not meet the standards of women’s empowerment they had just encountered. 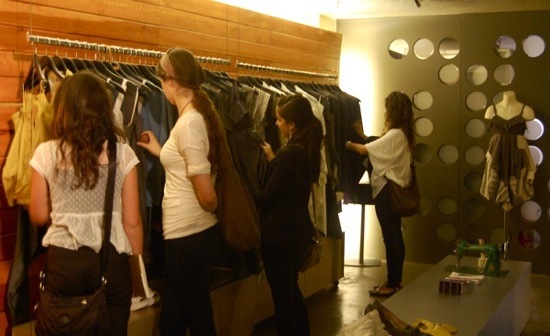 The isolated designer and her studio neglected the 55% of Turkish women who choose to cover their heads. We talked about the obligations of “high-powered women.” Over time the discussion evolved into one about our expectations of the people we interview…it is one thing to quote a source in the context of a larger issue and something entirely different to evaluate that person on how well she does her job—let alone how she does her duty to her gender, or her country. How do we separate our own judgment of a person from a fair portrayal? If the designer were a different kind of artist—a rug weaver, for example—would we have been so quick to make a moral judgment? Surely we should evaluate artists among other artists. But as Sanjena pointed out in her post, in Turkey, women’s clothing will have a meaning beyond just art for a while. Every time I set foot in a new place, I immediately try to ‘figure it out’. What are the people’s attitudes to a variety of topics, what are people talking about in conversation, what is important to people, what are the typical modes and walks of life. Several people sum up Turkey in a few words–something I saw in pre-trip research. Turkey is a bridge. A geographical bridge connecting the East to the West and the borders of Europe to the borders of the Middle East. And as we discussed in several pre-trip meetings, it is an ideological bridge; one that walks the tightrope of European and Arabic identity, and one that combines the ideals of Islam and the West. But is there a tightrope to be walked? Being on the ground, meeting with university officials, commentators on conservatism and conservative politics, and local people, has given the group a different sense of these issues; a sense of nuance that is at the core of these reporting trips. We now are thinking before we attribute our usual positive and negative labels to terms like ‘conservative’, ‘secular’, ‘liberal’ and ‘moderate’. As a professor at Bahcasehir University put it, 65-70% of Turkish people are conservative, but at the same time 90% are secular. This is a line I find myself constantly using as a point of reference, reminding myself every time I am about to sift terms into black-and-white categories. Just a few days in, I see it much more clearly–Turkey is not just a bridge, but also, and more importantly, a point of homogenization of these two seemingly conflicting branches of ideology. Where exactly the point of confluence lies is something we are trying to figure out, and we’re just at the tip of the iceberg of ‘figuring it out’. We hope to have more insight by the end of this trip–after our upcoming visit to Urfa (in Anatolia, much closer to Middle Eastern borders) and will have more space for analysis in our Fall issue on Turkey. Although I haven’t seen many of the main tourist sites (just yet), on my second day in Istanbul I got a small glimpse at the city through local eyes. Pınar Zevkirlioğlu, a Turkish friend of mine and third-year political science student at Istanbul University, had promised to show us a bit around the city she calls home. So after lunch, Eli and I travelled to Taksim Square, one of the city’s main plazas, to meet up with her. 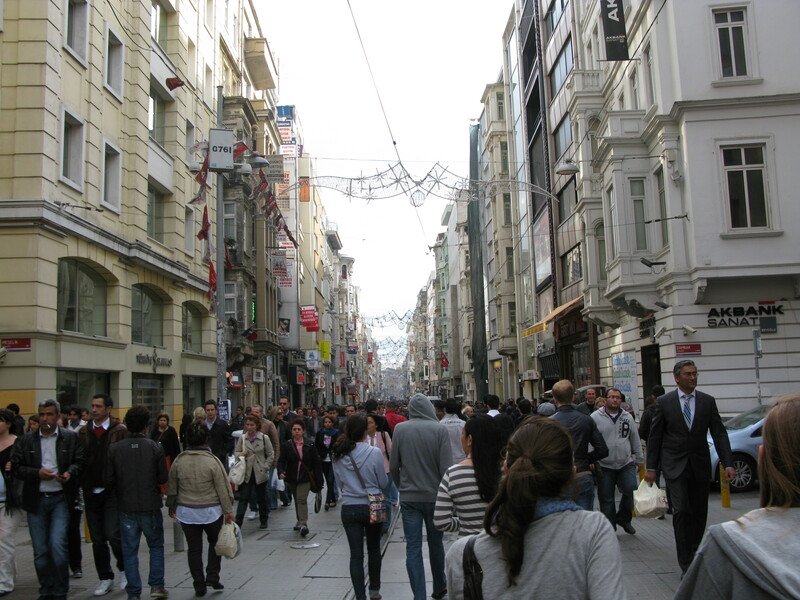 We began walking down the famous Istiklal Caddesi, a lively avenue vaguely reminiscent of European downtowns, or perhaps Buenos Aires. Pınar then led us into a small open space, the ornate entrance to the catholic Church of San Antonio. This awe-inspiring basilica, where even Muslims sometimes light candles, felt like one small sign of Istanbul’s bewildering cultural diversity. We walked on through dusty side streets until we came to Galata Tower, a 70-meter-tall monument of medieval architecture. Once we reached the top, we glanced at 360-degree vistas of Istanbul and began to get some sense of this city’s breathtaking scale. Although the Tower was packed with tourists, we later escaped the throngs and followed Pınar’s lead into a seemingly unassuming café. To Eli’s and my own surprise, we rose four or five floors up a door-less (yes, door-less) wood-paneled elevator into a terrace. Sipping our first Turkish coffees, we enjoyed a view of the sea and of the vibrant Taksim neighborhood. Courtesy of Pınar, we also learned about the tradition of Turkish coffee fortune-telling: once you finish drinking, you flip your teacup onto the saucer, then wait for it to cool and for the coffee sediment to trickle down. Once you raise the cup, the patterns left on it and on the saucer represent your fortune and whether your wishes will come true. Although all I saw was a brown coffee blob, professional fortune tellers can apparently be eerily accurate. Walking to take the tram back, Pınar showed us one last thing: “Midia Dolma” are small, rice-stuffed, delicious mussels sold on the streets of Istanbul literally 24 hours a day. You can get one for a lira or less, and they are found on small carts all over the city. After that, we said goodbye to our friend, and thanked her for being our guide for a few hours. Besides the interesting places she showed us, it was great to have someone our age to talk to about Turkey. It helps us remember that the perspective of Turks from our generation may be different than that of the older people we will often meet with. I went on a shopping spree for about twelve of the fifty hours I spent at home in Atlanta before coming to Turkey, buying clothes that fit under the tab of what we Glo-trippers have now dubbed “conservative-chic” (and generally recovering from finals season). So naturally, I’ve been paying a lot of attention to what people are wearing here in Istanbul – comparing wardrobes and doing research for future modest-clothing shopping expeditions. In most of the city, just based on the clothes people have on, it feels like we could be walking the cobblestoned streets of any cosmopolitan European urban center – Vienna, Milan, London, Amsterdam. Istanbul feels, as several of us have said to one another in conversation, “comfortably Western.” There’s not much “foreignness” to deal with, and I’ve found myself accidentally calculating the price of my last cup of Turkish apple tea in euros instead of Turkish lira before remembering the obvious… we’re kind of in Europe, but certainly not in the EU, and we’re just across the bridge from Asia. So today when Uzra and I went to explore a district called Fatih, what stood out most to me was how differently everyone was dressed. We knew it to be a fairly conservative area, so we covered our heads with scarves and dressed conservatively – she in her Indian kurti top and long pants, me in jeans and a full long-sleeved jacket. But still, as we strode through the alleys in Fatih, I felt eyes on us constantly, like nowhere else in the city. While I’ve covered up for the occasional visit into a mosque here or there, remaining covered for an extended period of time was a brand new experience. 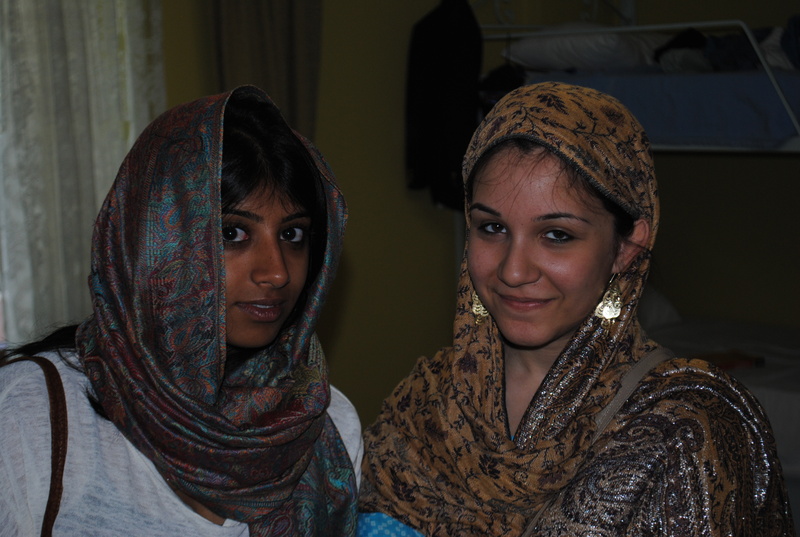 I’m sure part of the reason we stuck out was because of my perpetual uncomfortable adjustments and readjustments of my makeshift hijab. But what was strangest by far to me is that covering my head didn’t make me feel protected from the stares like I thought it would. The men gathered outside the grocery store, gossiping and playing chess, did not avert their eyes from us. We saw no nods of solidarity from the women we passed, most of whom were clad in full burkas (a phenomenon compared to the rest of the city, where I’d probably seen fewer than 5 women in full burkas and only a small minority with even any form of head covering); no welcome smiles as we’ve been offered when we step into mosques, our heads covered in respect for a tradition that is not our own. Not every part of every city is prepared to greet tourists with enthusiasm, but it can be a shock to be reminded of that. Istanbul is not simply cloaked in bits of East and West here and there across the city’s sprawl; the differences across neighborhoods run deep, and a set of Euro-chic clothing is not quite enough to let me fit in just everywhere. We continued our beverage spree with sweet Turkish coffee and a pile of honeyed pastries at Hafiz Mustafa, the oldest purveyor of Turkish delight (think The Lion, the Witch, and the Wardrobe) in Istanbul. When our teeth hurt, we wandered a bit further from the Bazaar and wound up at Rustem Pasha mosque. We walked into the courtyard and covered our heads and watched men washing their feet before afternoon prayer (today was a Friday, the biggest holy day), and I felt the need to just sit there in the courtyard and absorb how different the scene was from anything I have ever experienced before. There was something beautiful about people washing themselves in public—a moment of both introspection and, perhaps, self-consciousness. The call to prayer still sends shivers down my spine, and it’s interesting to think of it as simply a part of the daily rhythm here.